Managed Print Services – What Exactly Will It Do For You? Despite the rapid growth of digital technologies in business, copying and printing business documents continues to be very important in the business world. In fact, managing the copying and printing within a business can be so complicated that it takes up significant amounts of your company's time and resources. For instance, troubleshooting copiers and printers account for around 20% of all IT service calls. And when they're troubleshooting the copier, those IT resources aren't focused on using their expensive expertise to improve your business. Managed print services (MPS) removes the need to manage office equipment while aligning your print fleet with your actual business needs. Simply put, MPS involves the use of an outsourced service provider who handles any and all print-related issues. This includes everything from purchasing or leasing equipment to proactively identifying and handling repair issues. Plus, an MPS provider will track and analyze usage of equipment such as a printer, fax machine, and copier in order to increase efficiency, eliminate waste, and increase user satisfaction within your organization. In the past, you might have been tempted to manage printing in-house. It's hard to fault many SMB owners for thinking this is the most cost-effective way to handle this part of their business as they juggle significant pressure for costs and general overhead. In reality, however, managing your own printers is less efficient, often more so for small businesses. For example, you might think that the handling of one copier is simple and straightforward. Inevitably, you or someone else in your organization will spend far more time – and become far more frustrated – taking care of all the demands of just a single copier. Repairs, replacement parts, purchasing toner cartridges, and ensuring that the copier isn't being used wastefully will all add up to far more time, and at a greater cost, than outsourcing to a managed print services partner. As print needs grow, so do the challenges. It can be hard to keep one device operational, it becomes even more complex when you have dozens of devices. When managing your own print equipment, productivity losses will not be limited to the poor soul responsible for managing all the issues just described. The entire organization can be affected when a machine breaks due to a missed maintenance schedule or repair. In addition, having the wrong printer (whether due to an incorrect purchase or simply being put in the wrong location) in a particular area can lead to people waiting around to use the printer. On the other hand, an MPS provider can use their experience to get the right equipment for your particular business needs. In addition, providers typically use tracking codes and other security measures to ensure that printers and copiers aren't being used for non-productive purposes. When purchasing or leasing purchasing equipment yourself, it is easy to underestimate the needs of your office. This can lead to frustration and productivity losses. On the other hand, it is also relatively easy to purchase or lease too much equipment. While this might seem like the better option, the reality is that the cost of purchasing too much equipment can easily outweigh the cost of an MPS provider. All these problems are magnified once you start thinking about ink, toner, spare repair parts, and everything else that must be ordered on a much more frequent basis. 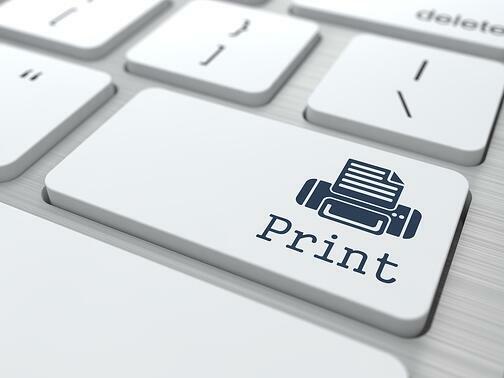 Managed print services are designed to make your company run more efficiently, and there are more than just the few benefits described above. You might think your business is too small to benefit from a managed print services approach to keeping your printers and copiers running. Odds are, you aren't. Isn't it at least worth having a conversation about? Kirk has been in the Office Technology sector for 20 years working in the dealer world focused on supporting sales teams. Having worked for Manufacturers and dealers as well as his own entrepreneurial ventures, Kirk is dedicated to the development of people in the sales profession. Outside of work Kirk has a wife and two children and enjoys being outside whether hunting or horseback riding.